Natural Health News — The common belief is that the flu brings recognisable symptoms such as fever, aches and pains as well as congestion, wheezing and coughing. But a new UK study has shown that more than 75% of people who had seasonal influenza during recent years did not experience any symptoms at all. Researchers for the study collected data for influenza during winter seasons in England between 2006 and 2011, which included the H1N1 flu pandemic in 2009. Analysis of the data, which was published in the Lancet Respiratory Medicine, turned up some interesting findings For instance, the researchers team found that only around 18% of those who did not get a flu shot became infected with a flu virus. Among these only 23% developed any symptoms of the flu. Likewise, only around 17% of people infected with the flu virus went on to develop symptoms severe enough to warrant a visit to the doctor. Looking at the flu infection rates between 2006 and 2011 the researchers found that the overall rate was, on average, 22 times higher than the rates recorded by standard surveillance systems that were based on flu-related doctor visits only. In particular the researchers found that people infected with the 2009 “swine flu” virus experienced much milder influenza symptoms, compared with some of the seasonal flu strains during other years. This, they say is a good example of how basing the number of flu-related cases on doctor visits ends up underestimating how many people actually had influenza during any given year. Commenting on the findings lead study author, Dr. Andrew Hayward of University College London, said that the number of reported cases of the flu only represent the “tip of a large clinical and subclinical iceberg,” which is primarily “invisible to surveillance systems” that only record flu cases that require a doctor’s care or hospitalisation. Dr. Hayward also pointed out that most people with the flu never visit their doctor – and even when they do, they are frequently misdiagnosed with something other than the flu. As a result, standard surveillance methods end up underestimating the actual number of flu cases because they only record how many flu patients visit their doctor or are otherwise hospitalised. In an editorial accompanying the report Dr. Peter William Horby of Oxford University in Vietnam, suggests that this new data brings up question about how the flu spreads. For example it’s now important to find out if those who have influenza with no or only mild symptoms are actually contagious and if so how contagious and what their contribution to the overall seasonal spread of the disease is. In the mean time, whether you symptoms are mild or severe the best (and most courteous) course of action is to rest and recover at home before going back to work or out into the community and risking spreading the disease further. 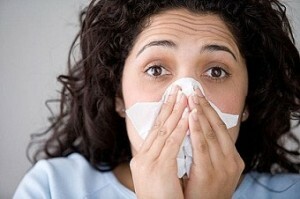 See also our article Cold and flu prevention – healthier alternatives.